Original cover by Jean Frisano; Editions Lug 1982. John Karnes's website is here. 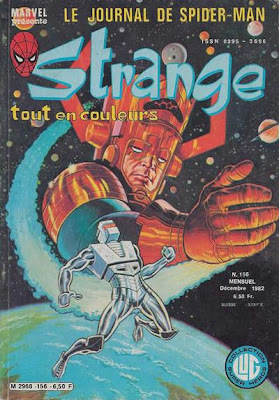 I think that's the original cover artist is Jean Frisano, like most of Strange covers. Thanks, Mev. I made the change. I wasn't familiar with this title until John sent in this cover. 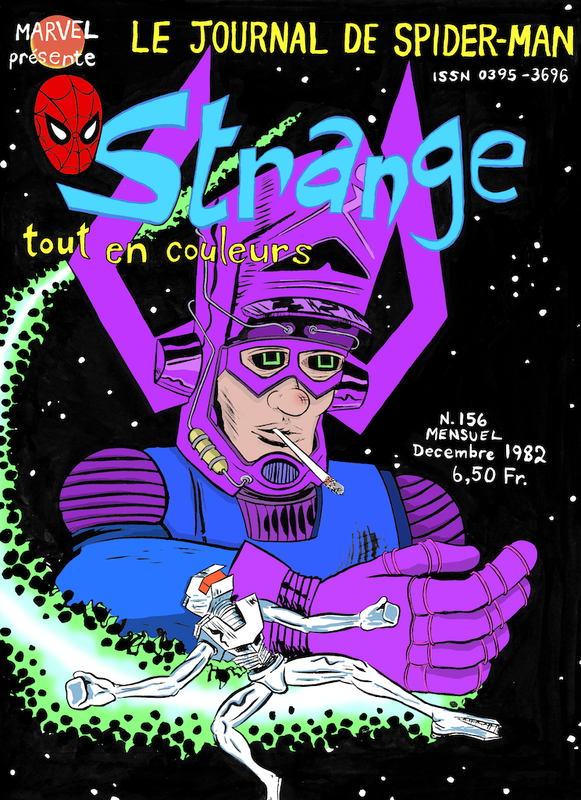 Looking over the other issues of Strange is a weird experience since they are these beautiful alternate covers to comics that made such an impression on me as a kid. I wonder how Joe came across this. Do you carry these in your store Arkham? Yes, we got a few issues. Hi Arkham, if you meant me, I picked up this book in ~2003. Outdoor book vendors near Notre Dame in Paris sold back issues for about 0.5 Euros. Hi John. Yeah, I meant you despise the fact I called you Joe. Sorry about that.